An optional "instructions" area was added to note templates. Instructions appear above the free form text area and they can't be edited. 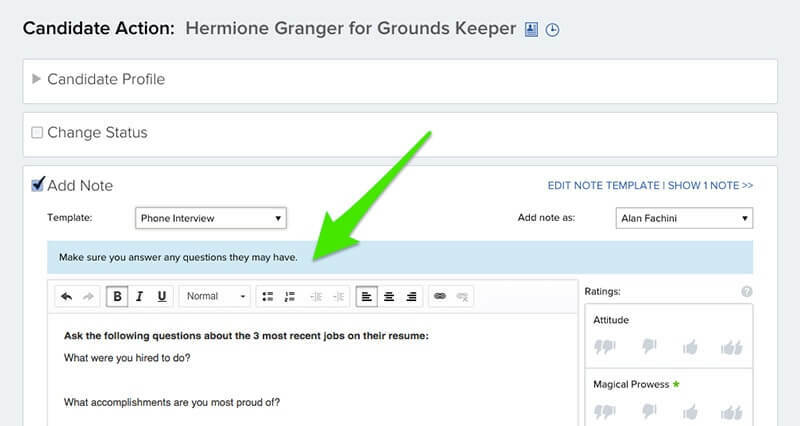 Instructions are there to remind interviewers what to do while not cluttering up notes entered into the system. Instructions are a great place to include sample questions, sales points, handoff instructions or anything needed to help interviews go well.